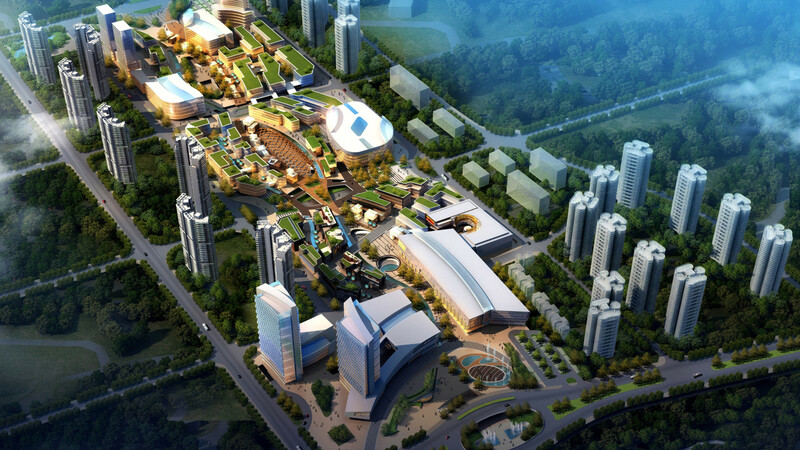 The “Double Axis” and “3 City Centers” concept for the 500,000 sm mixed-use International Plaza in ZiGong is derived from the natural heritage and surrounding context of the site. 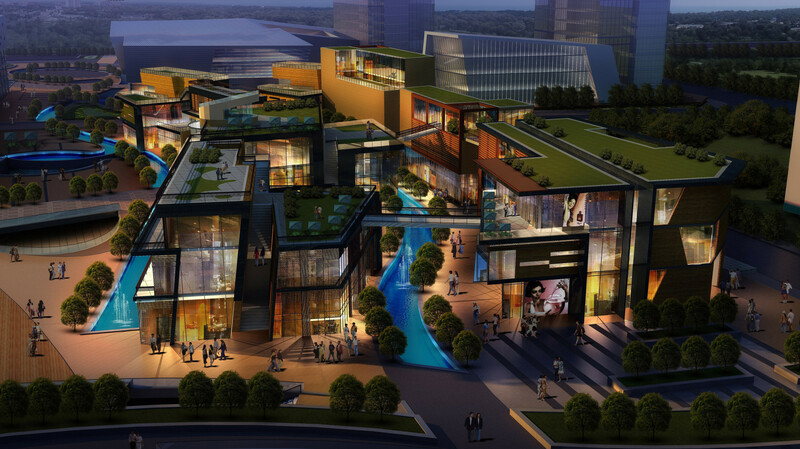 The “Water Axis” is inspired by the nearby Fuxi River in ZiGong and the “Salt Axis” pays tribute to the longstanding salt industry production the city of ZiGong is known for. 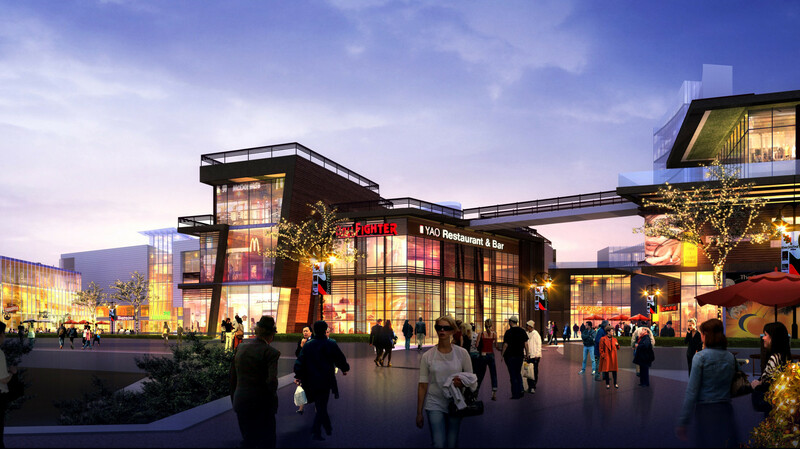 These two east/west axes crisscross back and forth, creating dynamic landscape features and unique retail environments. The 3 centers or plazas, named after their unique function, provide visual and cultural interest for the development.